Chinese automaker BYD Co Ltd, backed by Warren Buffett's Berkshire Hathaway Inc, aims to triple its production of batteries as it takes on Tesla Motors in the race to supply electric vehicles and boost energy storage. Shenzhen-based BYD plans to add 6 gigawatt hours of global production for batteries in each of the next three years, and hopes to keep adding at that pace afterwards if demand is solid, Matthew Jurjevich, a spokesman for the company, said on Friday. That means BYD could ramp up from 10 GWh capacity at the end of this year to about 34 GWh of batteries by the beginning of 2020. This would put it about even with Tesla's planned $5 billion Nevada gigafactory. Each of the planned Gigafactory is said to output more lithium-ion batteries than the entire world’s capacity today. When fully operational in 2020, these two plants alone will triple global li-ion battery production capacity, and that's not accounting for the largest electric vehicle battery supplier today, LG Chem, who broke ground on their own Chinese gigafactory in late 2014. The companies are fast emerging as two of the key players in the nascent electricity storage sector. Storage technology is considered critical to integrating large amounts of renewable energy because it can absorb excess power from wind farms or solar panels and keep that for use when conditions don't allow for power generation. "We have demonstrated that BYD is capable of adding 6 GWh every year with strong market demand," Jurjevich, who works for BYD's U.S. unit, said in an interview. The sector has attracted Tesla, BYD and a range of startups as well as stalwart battery manufacturers and is expected to grow to $1.5 billion by 2019 from $128 million in 2014 in the United States alone, according to GTM Research. BYD, which declined to provide investment budgets, ended last year with 4 GWh of capacity and will be at 10 GWh later this year. The U.S. energy storage market is expected to triple this year to 220 MW, according to GTM. Most of BYD's production is in China, but the company is opening a major new factory in Brazil this year that will contribute meaningfully to output next year, Jurjevich said. BYD, which started out making mobile phone batteries, will also scale up manufacturing in the United States as demand for its batteries increases, he added. 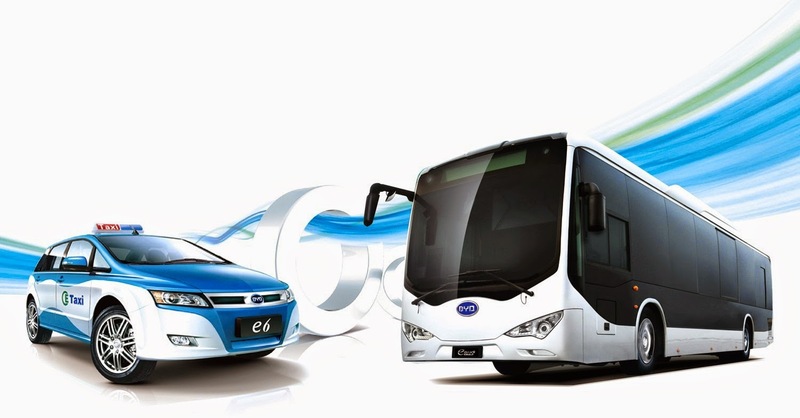 According to data published last year by Lux Research, BYD is the sixth-biggest manufacturer of batteries for hybrid and plug-in vehicles. Panasonic Corporation, which makes cells and batteries for Tesla, is the biggest. Tesla, founded by entrepreneur Elon Musk, has said it will launch its own production of battery cells in Nevada in 2016 and reach 35 GWh of capacity by 2020. Tesla does not currently produce battery cells, according to a company spokeswoman. BYD opened two manufacturing plants in Southern California in 2013 to produce both electric buses for public transportation and batteries. The company shocked many in 2003 when it launched its automotive business and has since become one of China's most successful automakers. Outside of China, however, it has focused on selling buses rather than cars. BYD plans to deploy 70 megawatt hours of projects in that market in the United States this year, and has another 130 MWh of projects in its U.S. pipeline. It has already deployed 40 MWh of projects in North America with customers including Chevron Corp and Duke Energy Corp.